It was Saturday, Jan. 4, 2014, and I was on a flight from my airport in Richland, WA, direct to Nehalem Bay State at Manzanita on the Oregon Coast. I fly a Sportsman tail dragger with an IO360 and constant speed prop. It was my 5 year to taxi program. My youngest son and his wife have a beach house in Manzanita. Nehalem Bay State is just a landing strip with no facilities, owned by the state of Oregon. I have been in there once before. I usually fly to the Tillamook airport, which is about 10 minutes south. Warren Magnuson, the airport attendant, has let me use an empty hangar overnight. My son drives down from Manzanita to get me. It is about 30 miles south through several coastal communities and takes about 45 minutes. I’m not comfortable leaving the plane overnight at the Nehalem landing strip. Security is not the best. But this trip I decided to use it. It was not my best decision. So, at about 11:30 AM, I’m on final over the bay landing to the north. The on-board Dynon showed the wind to be on the nose at 20 knots. The wind decreased during the descent. With the plane in a full stall for a 3-point landing, a gust of wind picked the plane up, and just as suddenly, went away (wind shear). I applied full power, but the airplane dropped to the runway, causing damage to the right landing gear socket. The plane rebounded and was flying again. A quick check of the controls gave indication of good response and I decided to continue south to Tillamook where there is an FBO. It is about a 10-minute flight. I could not see the right landing gear from my position in the left seat, but I did see that the gear socket was pushed up about 2 inches or so into the cabin. contacted the turf. 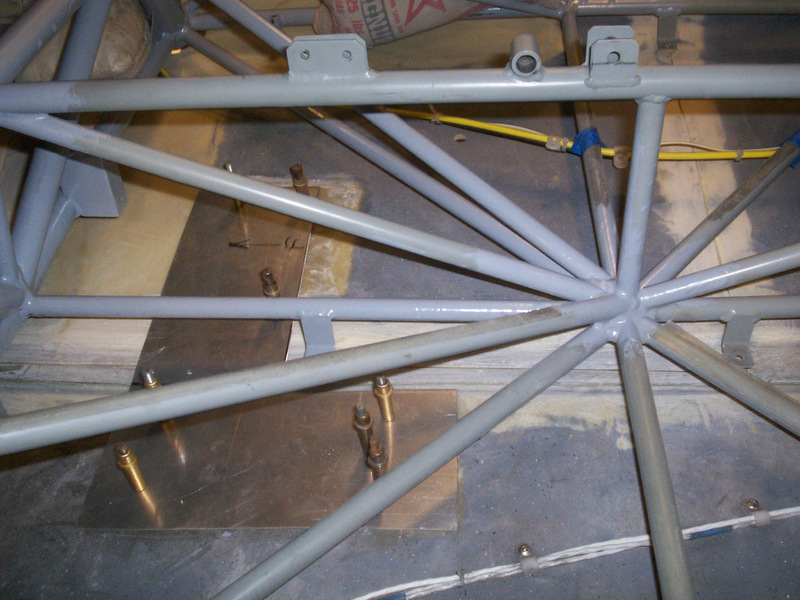 The right gear leg was forced forward and this, in my opinion, caused the most of the damage to the cage tubes as the gear socket was levered by the gear leg being forced forward. Before I could get out of the plane, several people, including, Warren, came running to the plane and asked if I was hurt. “Just my pride,” I replied. Warren called the FAA in Hillsboro, OR and reported the accident. 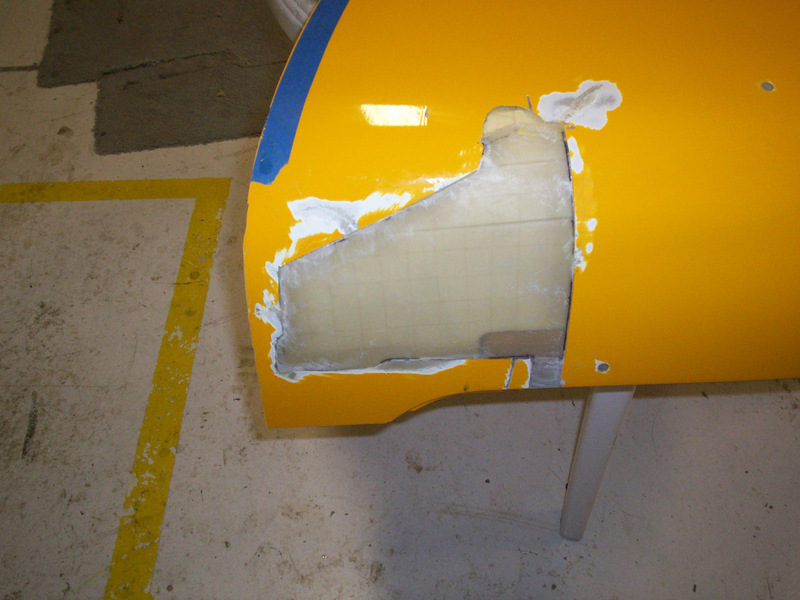 The FAA representative (Tom Leonetti) arranged a conference call with the NTSB. I explained what happened and was advised it would probably be determined to be an accident rather than an incident. Tom Leonetti said he would inspect the plane the following Monday and release it to be moved. I was advised to fill out reports for the FAA and the NTSB. I surmised that I would have to do a third one for the insurance company. Warren got his pickup with a picnic table and old sofa cushions on it. Several of us lifted the right wing up and the pickup was moved under the wing. 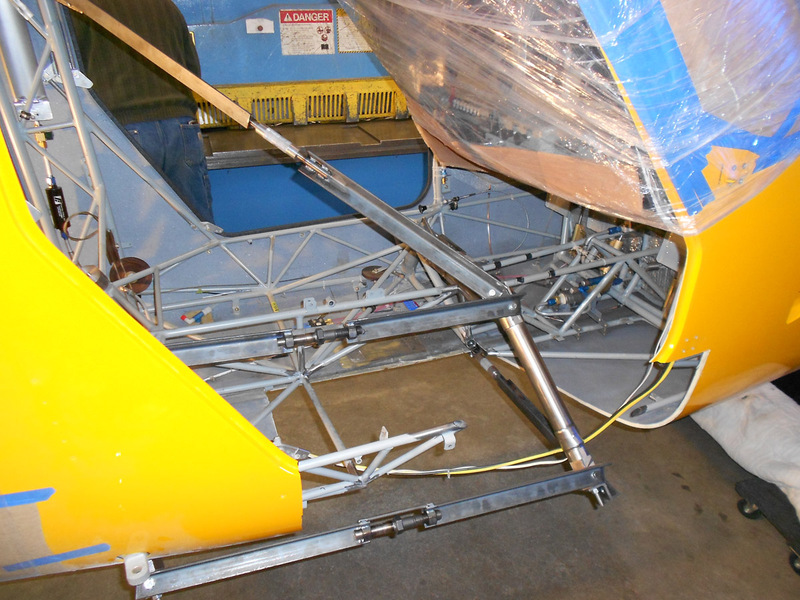 We then lowered the wing onto the cushions. With a coordinated effort of pushing the airplane and driving the pickup, we managed to get the plane into an empty hangar. 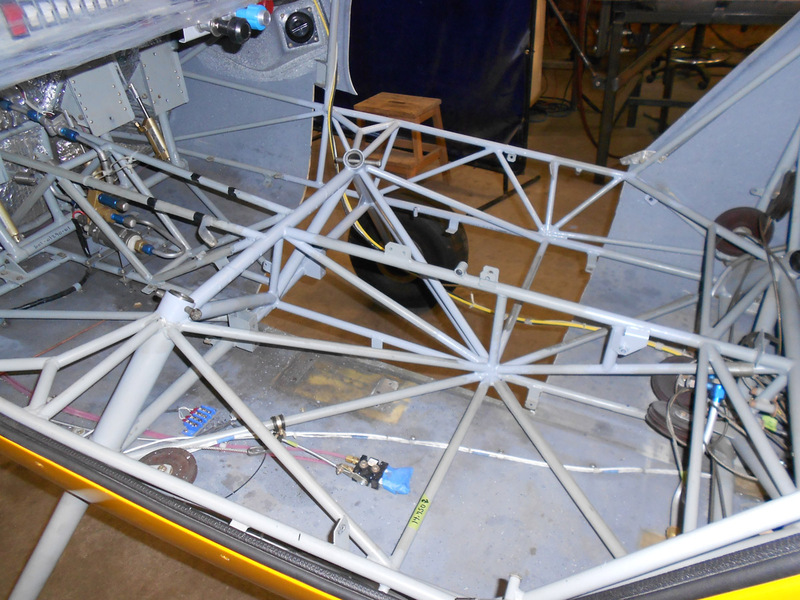 During the time the reports were being done, I contacted truck rental agencies regarding availability of a truck with a lift gate and a box big enough to hold a disassembled plane. A truck of this type was not readily available. 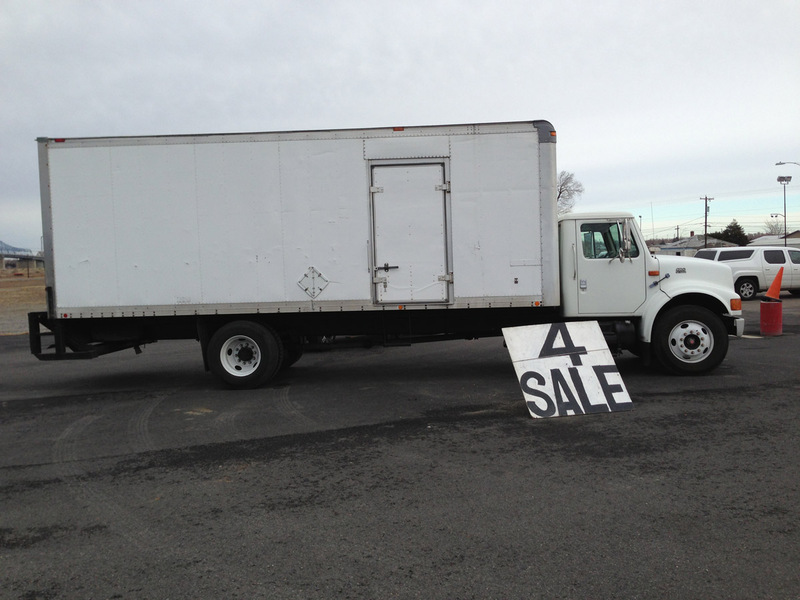 While trying to decide what to do I came across a used truck for sale that had a 24-foot box with a hydraulic lift gate. It is an International with a turbo charged diesel engine and about 335 K miles. It spent most of its life as a Ryder rental truck. The box interior has metal rails along the sides with slots to place metal hangers to tie stuff to. Perfect. I bought the damn thing! I have a commercial driver license so I rushed off to get a renewed DOT medical certificate. While trying to put together a doable plan, I happened to talk to a fellow pilot and good friend, Gerald (Jerry) Cooper. I have known Jerry for several years. He has a large hangar/home and a turf landing strip (0WN2) a few miles south of me. Jerry is a journeyman lineman and has built power lines all over the Northwest. He retired from his position as superintendent a few years ago. As a pilot for some 50 years he has flown tail-draggers and float planes all over the Northwest and western Canada and Alaska on hunting and fishing trips. 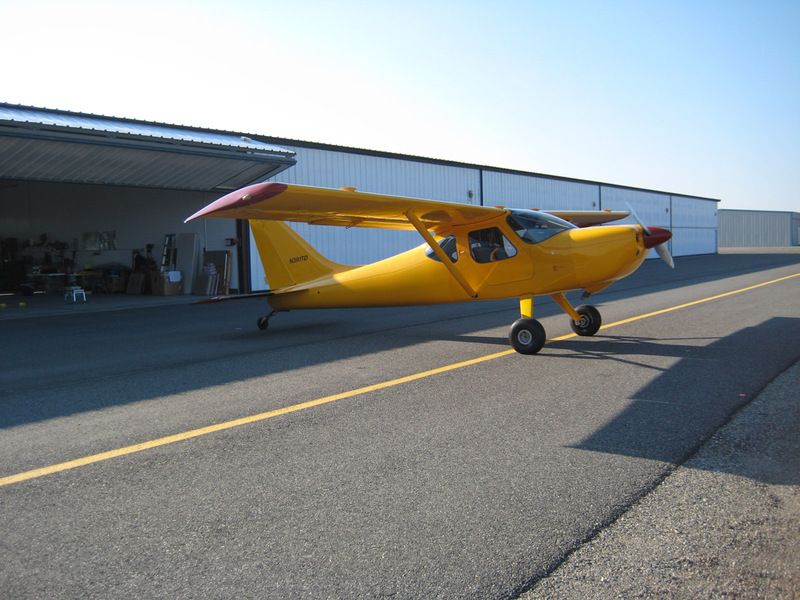 Until he recently acquired a GlaStar, his favorite airplanes have been Stinsons for which he holds several STCs. Jerry volunteered to help me get the plane home, and come up with a plan to get the fuselage repaired. He is a great resource when trying to find out where and how to get things done. 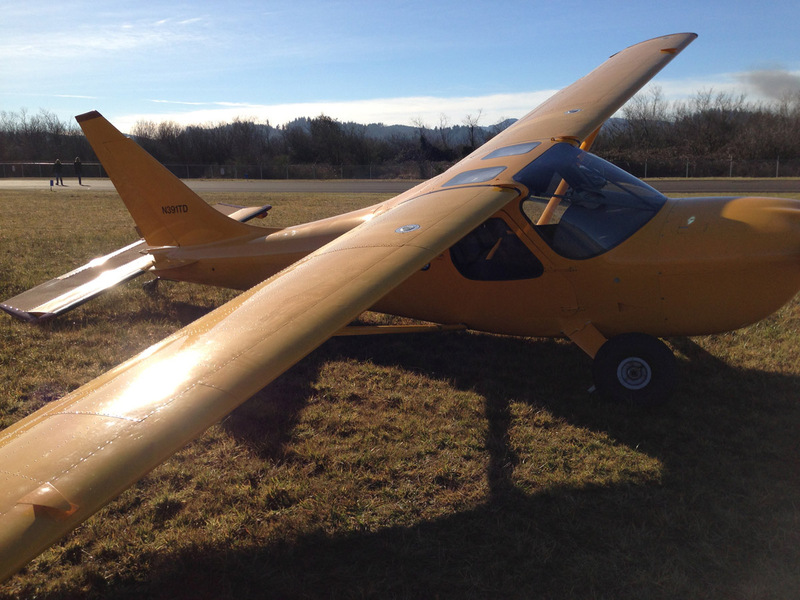 So, on Tuesday, Jan14, 2014, off we go to Tillamook to get my airplane home. Jerry drove my pickup and I drove the truck. 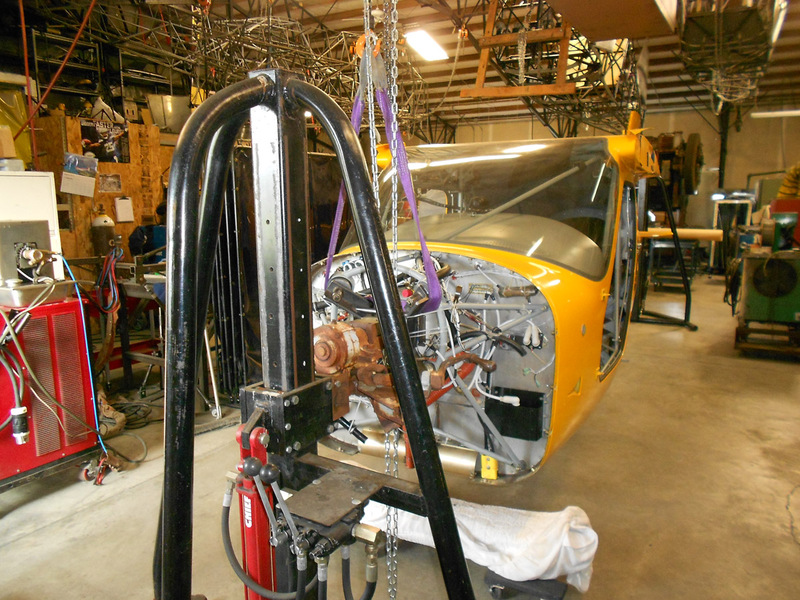 We had tools, tie down material, engine pallet, engine hoist, wing stands, movers’ blankets, file boxes for small accessory items and cut- off half gallon milk cartons for nuts, bolts, and washers. The trip to Tillamook is about 330 miles and we arrived in the afternoon. There was just enough daylight left to check in with Warren to get his OK to leave the truck on site while disassembling the airplane. We unloaded the tools and equipment and left for the day. During the next few days, we stayed at the beach house in Manzanita and commuted back and forth to Tillamook. By about noon Friday, we had the truck loaded with the airplane parts and were ready for the trip home. The engine was on the shipping pallet and was placed in the most forward position in the truck. 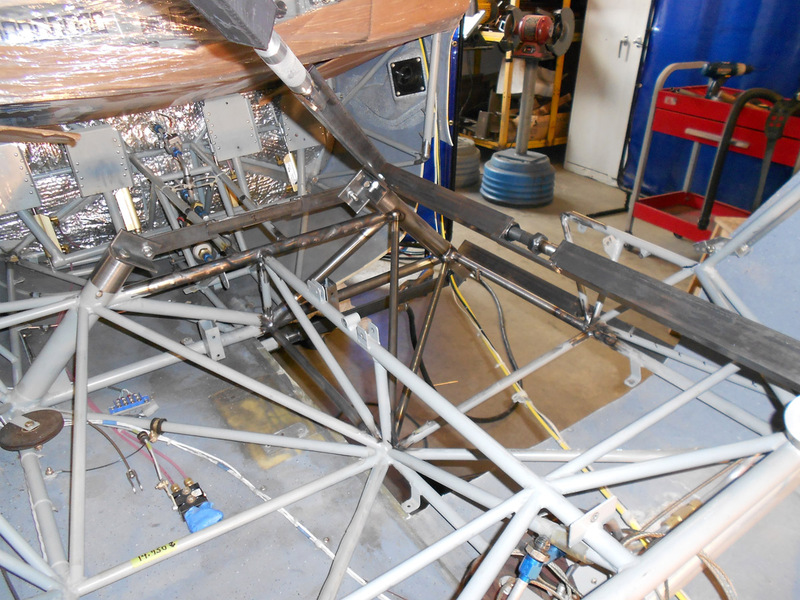 Next we loaded the wings, using the lift, and hung them along the sides using the metal rails. Then fuselage was loaded. 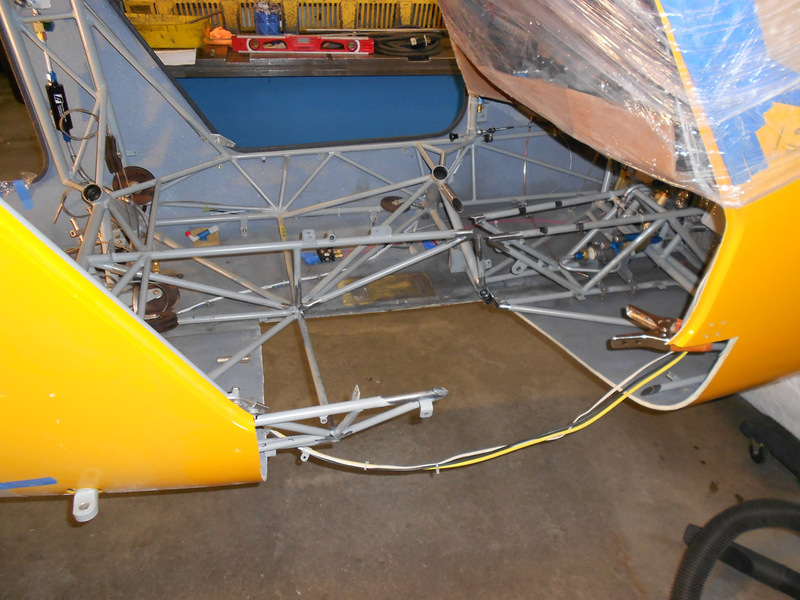 Jerry had made a dolly from a couple of 2×6 boards cut to fit the bottom of the fuselage near the firewall. With swivel wheels on the dolly, it was rolled on to the lift and with a person lifting the tail, the lift raised it into position to roll into the tuck. Tie straps were used to keep items secure. Then the small stuff was loaded. 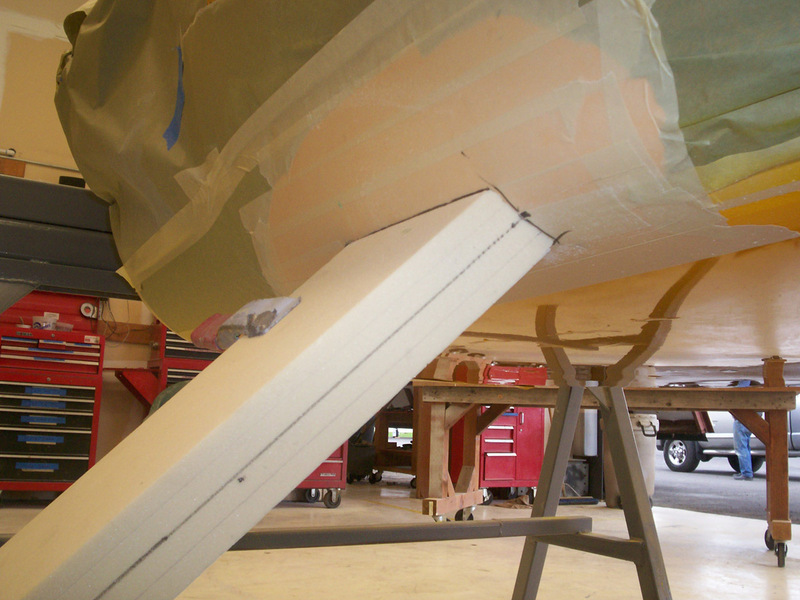 Flaps, ailerons, horizontal stabilizer, elevator, rudder, and propeller all fitted into the truck. Movers’ blankets were used for protection. The boxes of accessory items were placed in the fuselage baggage and cockpit areas along with seat cushions, seat pans and seat backs. Tools and equipment were loaded into the pickup. We got it all loaded and there was not any room left. We arrived home Friday evening, Jan 17, 2014. The next day, Saturday, we unloaded the truck and the pickup at my Richland hangar. 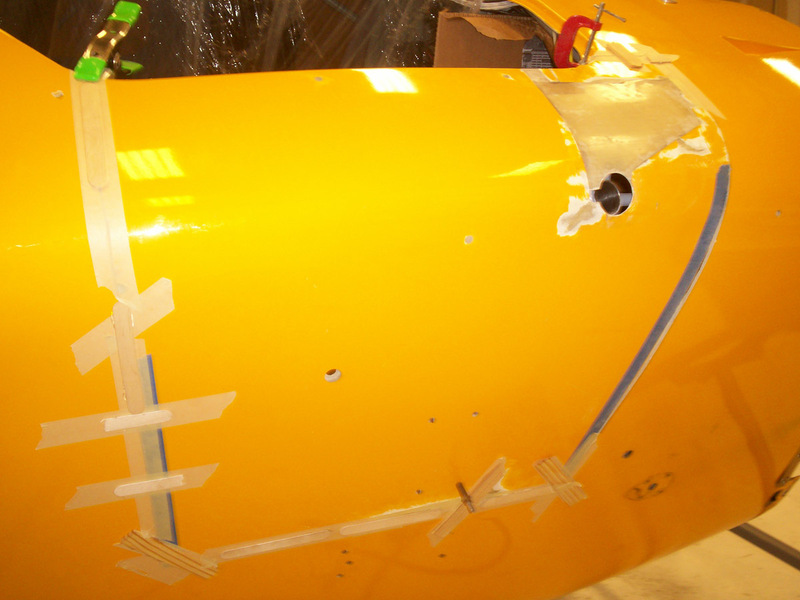 Now I needed another plan for fuselage repair. 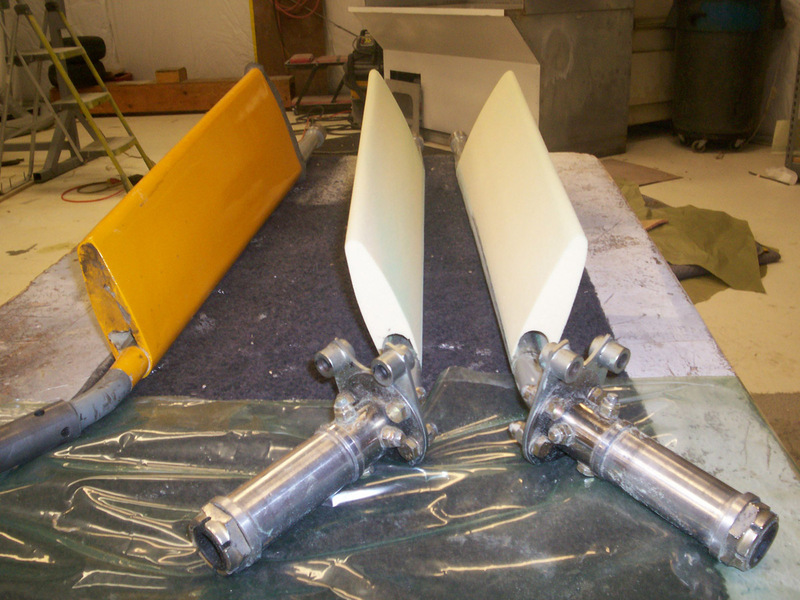 engine mounts for Van’s Aircraft. He was definitely interested and suggested he team with Darrell Peterson of Composite Aircraft Technology, LLC. 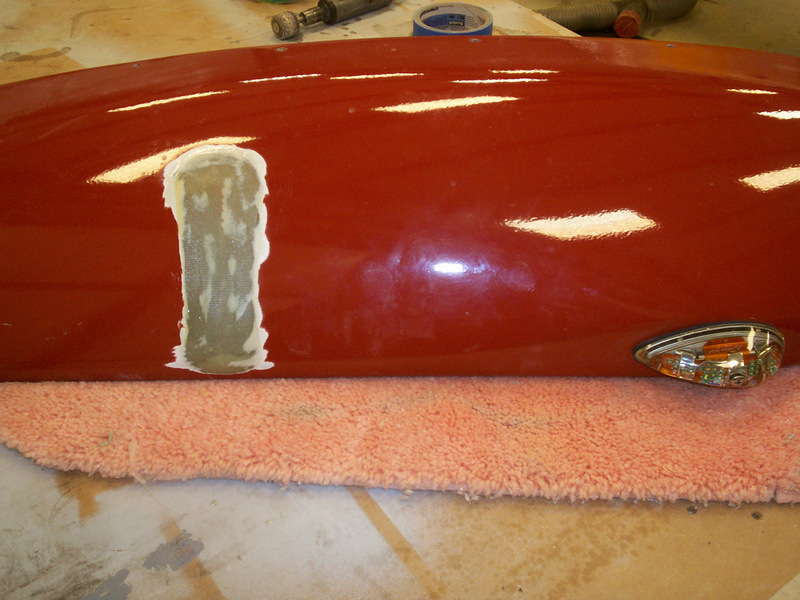 Steve would do the metal repair work and Darrell would do the fiberglass repair and finish painting. 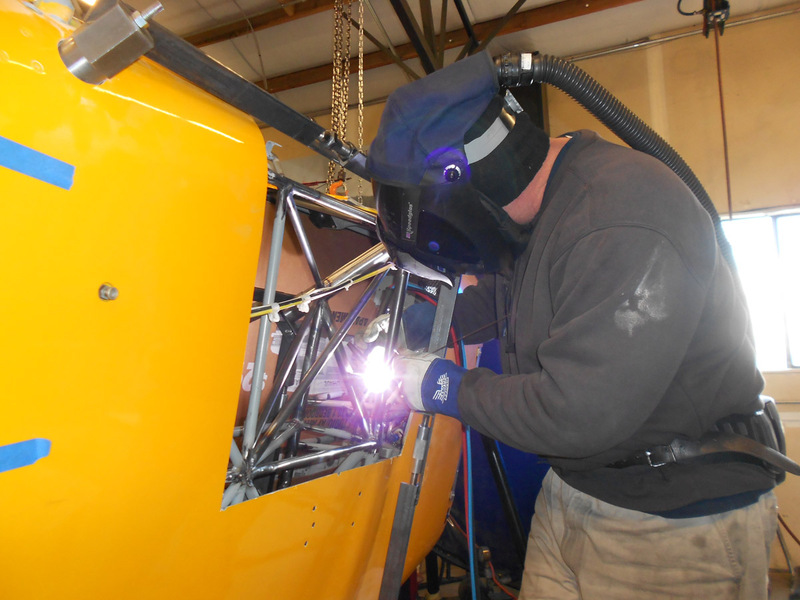 Darrell’s facility is located some 25 miles from Steve at the Toledo airport. He builds and sells Express Aircraft kits. My understanding is he acquired the assets of the Wheeler Express aircraft previously based in Olympia, WA. The insurance company sent the claims adjuster in from Scottsdale, AZ, to inspect the damage. 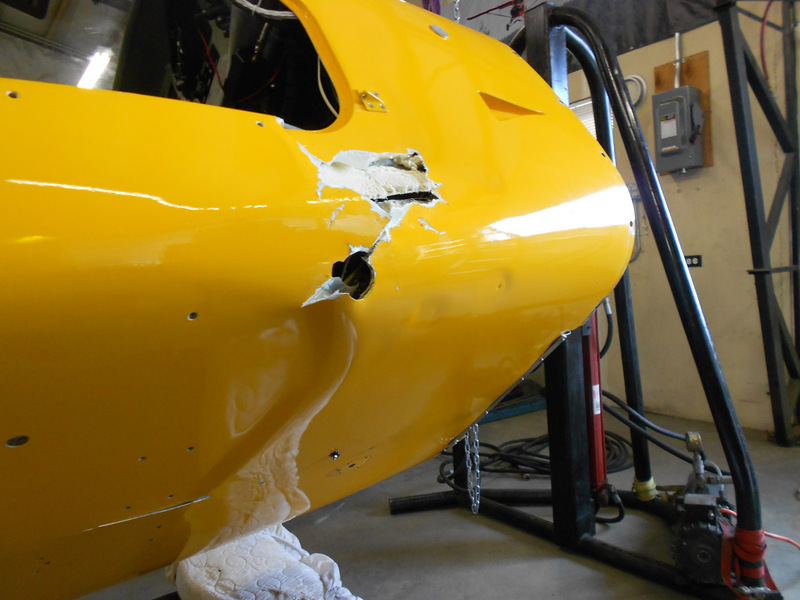 We discussed the two companies that are willing to submit estimates for repair and the adjuster seemed satisfied. 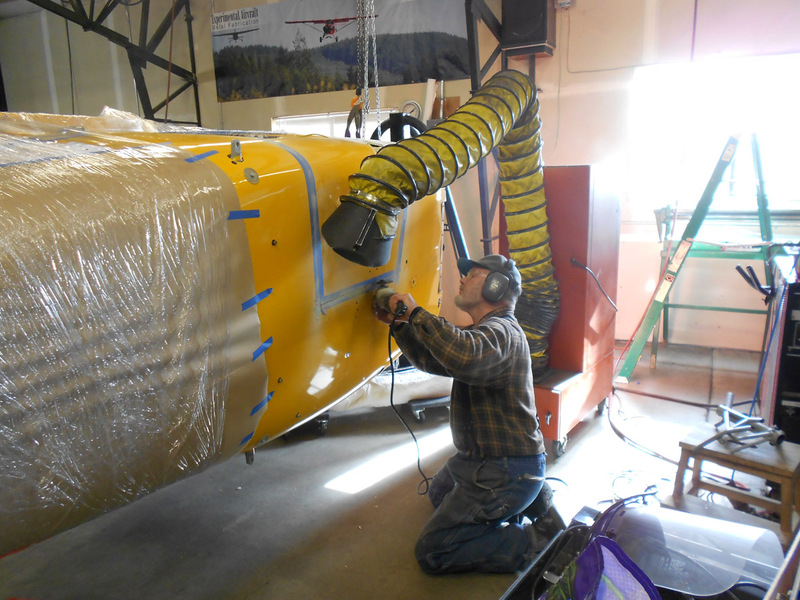 The estimates were submitted and on Tuesday, Feb 4, 2014, (one month after the accident) we delivered the fuselage to Steve’s facility in Curtis, WA, some 240 miles west over White Pass on Highway 12. We left the truck with Steve and returned home in the pickup. 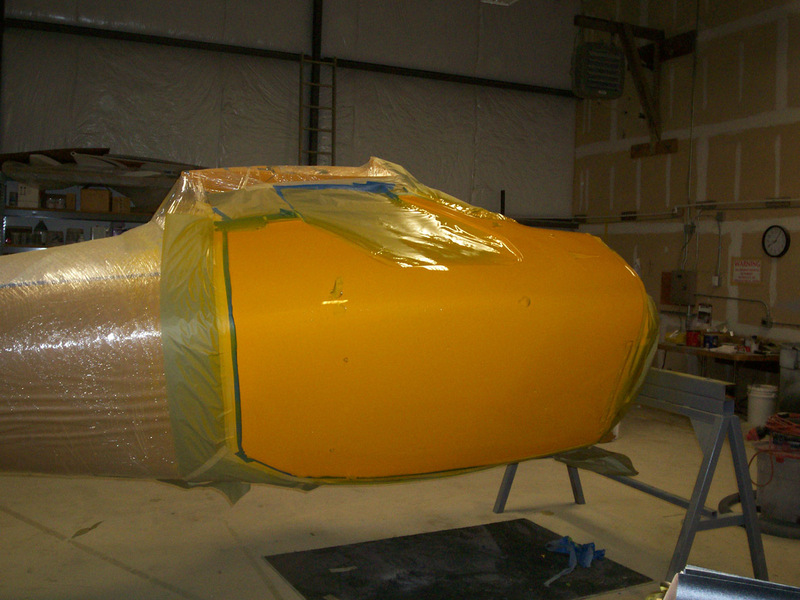 Steve completed the cage and gear socket repair, and on Tuesday, April 1, 2014, we moved the fuselage to the Toledo airport for Darrell to do the fiberglass repair. Again we left the truck at the Toledo airport and returned home. 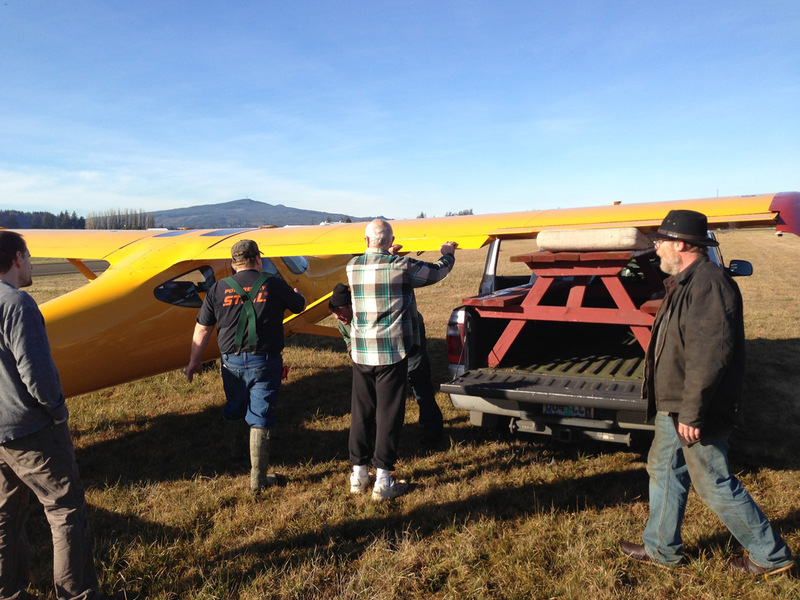 On Tuesday, April 29, 2014, we brought the repaired fuselage home to Richland. 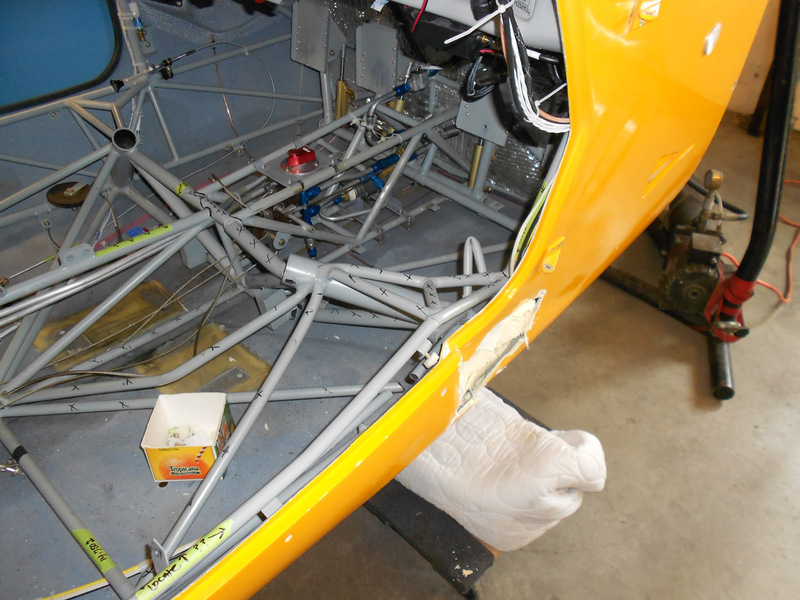 During the reassembly effort a condition inspection was done. On Saturday, June 28, 2014, I started the engine to check for fuel and oil leaks and the next day I did some taxi tests. On Monday, June 30, 2014, I did the first flight after the accident and subsequent repair and the plane performed satisfactorily. 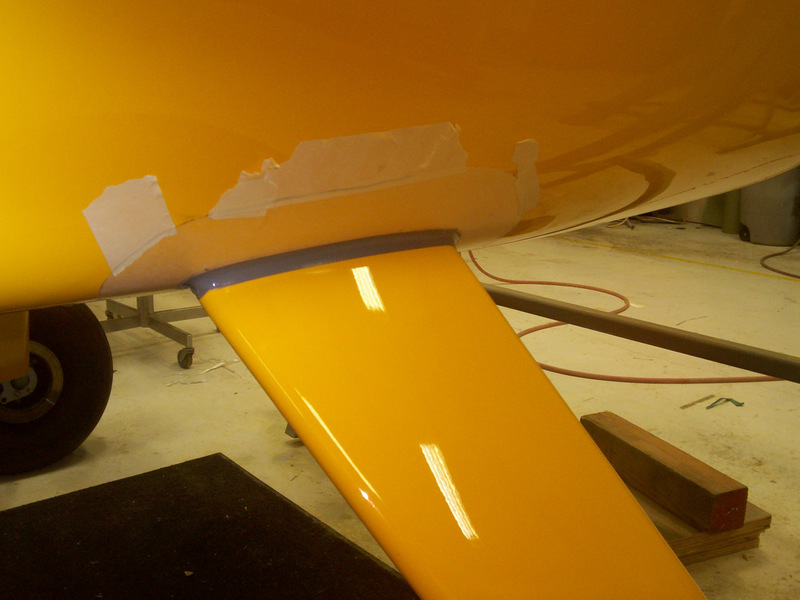 This was without a doubt the most thorough condition inspection the plane has had. It was 6 months from accident to flying again.